You’re invited to the upcoming Resonance Choir performance! 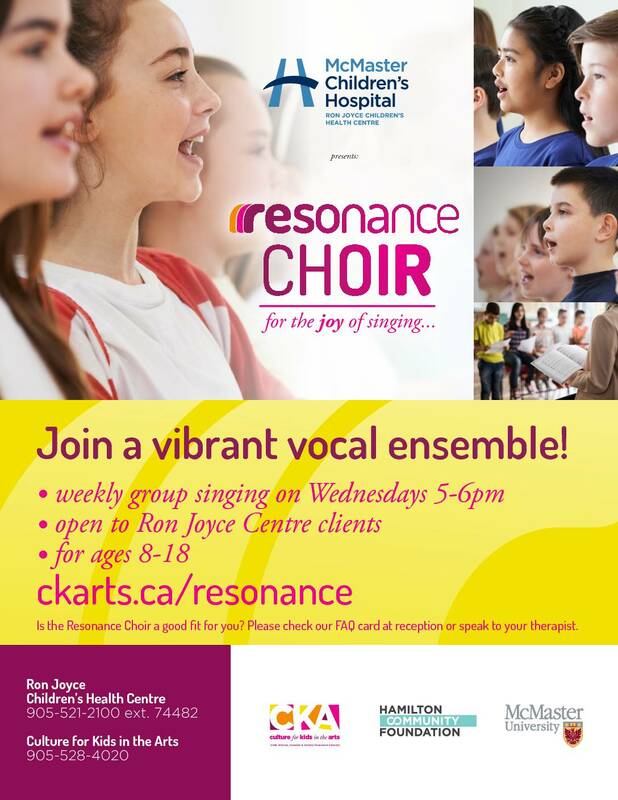 To spread the joy of music and support children with the emotional, intellectual and healthy effects of singing, Culture for Kids in the Arts partners with the Ron Joyce Children’s Health Centre to bring you the Resonance Choir. We support the creative growth of children with different abilities by broadening their musical horizons and creating a supportive space where they can share a joyful experience with their peers. The Resonance Choir has the capacity to offer a fun and team building alternative to make new friends and share their stories together with peers that face their own difficult and life-changing health challenges. The power of connection with other youth cannot be underestimated. 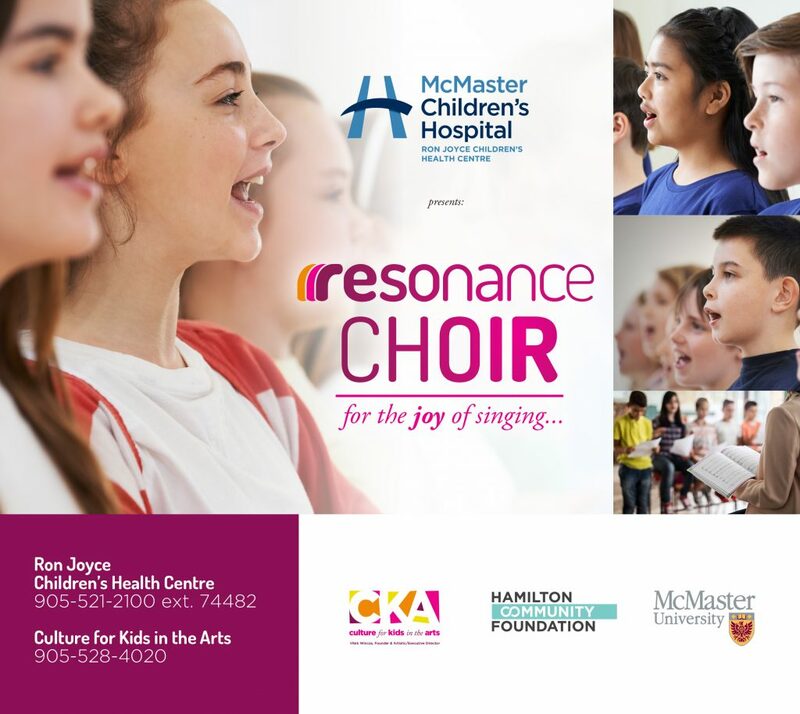 To instill a sense of pride in their musical accomplishments with their families and friends, the children in the Resonance Choir will have an opportunity to share their voices and inspiring choral performances in celebratory events. CKA invites interested children ages 8 – 18, regardless of ability or knowledge, to join us!